Recife, Brazil - During the visit to the newly founded Diocese of Buenos Aires and South-Central American, as its first Bishop-administrator, His Eminence Archbishop of Cetinje and Metropolitan of Montenegro and the Littoral kyr Amfilohije served yesterday, on Sunday November 27, on the feast day of St. Phillip the Apostle and Nativity poklade, the Holy Hierarchal Liturgy in the side chapel of the Assumption of the Most Holy Theotokos of the Brazilian city of Recife in the state of Pernambuco at the far North-East of Brazil. The Liturgy was served in the Portuguese, Serbian and Church Slavonic language. 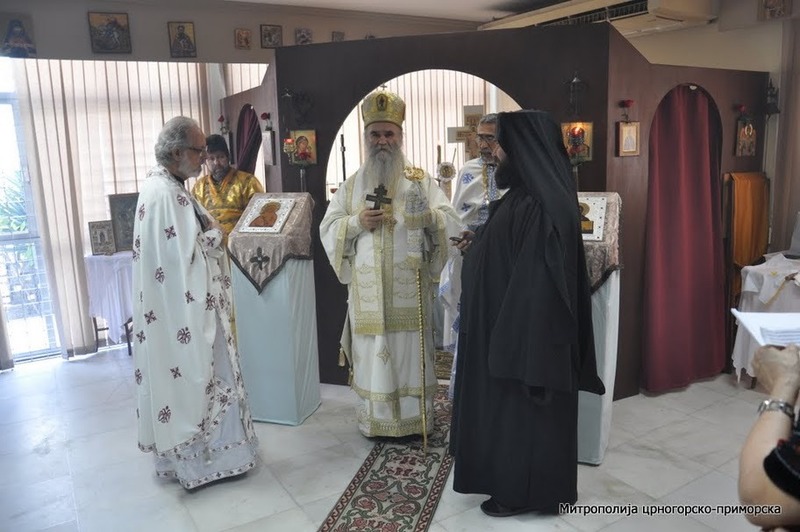 Metropolitan informed the believers with the founding of the new Diocese and encouraged them to be tough and firm in their Holy Orthodox faith. The same afternoon, the Metropolitan visited nearby town of Olinda accompanied by archpriest Rafael and monk Jovan.